NoCalc is the new revolutionary and economic way to deal with hard water. NoCalc is an innovative system which protects the whole house, including the heating system, against the build up of limescale and soft watercorrosion. NoCalc adds a small quantity of a consumable solution (less than 5 ppm), which neutralises (seals) the calcium and magnesium, preventing the formation of limescale. The method respects the WHO and FAO* food grade. In addition the dosing mechanism always adds the exact dosage to the consumption of water. No risk of fouling or overdosing. NoCalc is highly capable, small and easy to fit, low maintenance and evironmentally friendly. The water stays 100% safe for drinking (under British Standard BS-EN 1212) and you save money. Water with high levels of calcium and magnesium is water with a hardness starting at 3 to 4 odH (German degrees). The higher the calcium and magnesium level, the harder your water is. This can result in damage to common household appliances. Approximately 70% of the UK has hard water and residents suffer the inconveniences of limescale. 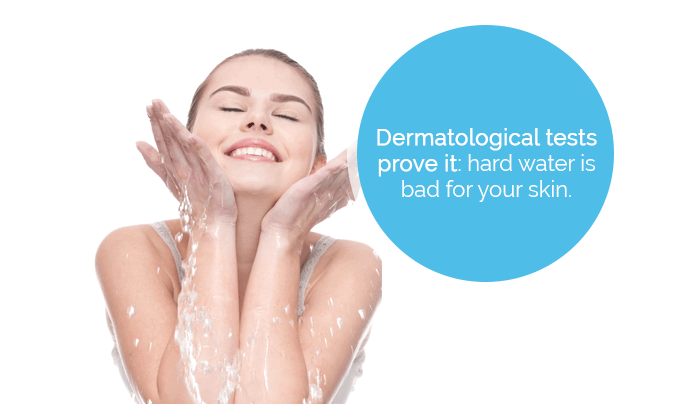 In addition, high levels of calcium in the water can provoke or worsen existing skin irritations. You may also notice hair that is dull in appearance, despite regular washing. Calcium and magnesium salts are minerals which are crucial for every human body and for optimum health. Most of our Calcium comes from our daily drinking water. In addition, by law, water companies have to make sure they leave enough calcium in drinking water. Until recently the only way to prevent limescale and pipe corrosion was by using expensive (and now outdated) water softeners that eliminated calcium and magnesium from the water. In making the choice of NoCalc you will be using an environmetally friendly system which requires no electricity, resulting in water you can safely drink from the tap. With NoCalc the composition of the water does not change as the calcium and magnesium are not eliminated but simply sealed. The advantage is that once consumed, the minerals are broken down and absorbed by your body. Traditional water softeners often use electricity and pollute the environment. This traditional process flushes tens of litres of clean water with the salt content of the softener on each cleaning cycle into the drains. 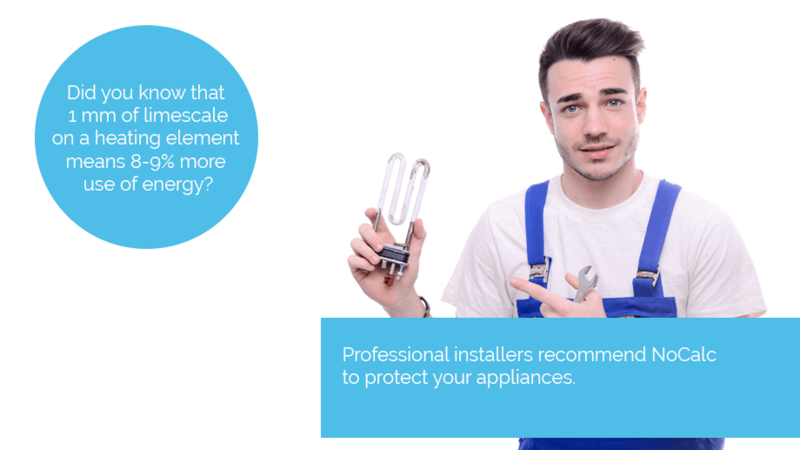 NoCalc is your environmentally friendly alternative which uses no electricity, no backwashing, no maintenance and protects the whole house (including heating systems). 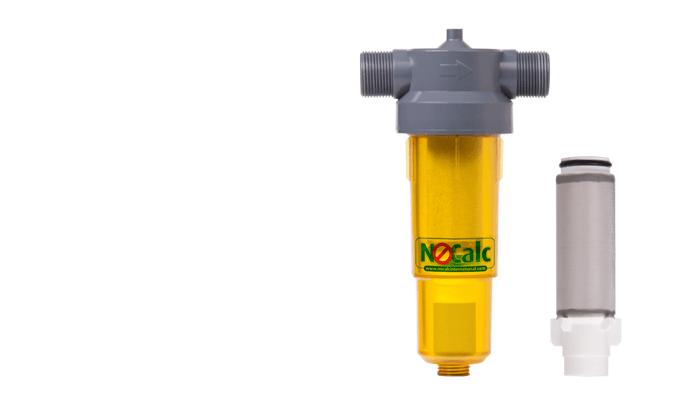 NoCalc is 100% safe for drinking water and needs no bypass pipe, as is required with the utilization of a traditional water softener. Clean drinking water is taken for granted in developed countries. However in many countries there is a lack of clean drinking water, which can have detrimental and severe consequences for populations, especially for growing children. Since 2010 NoCalc has financially supported UNICEF, the United Nations Children’s Fund. With a structural and annual contribution NoCalc enables UNICEF in the development of drinking water projects to provide them with a healthier future. During transport from source to user, water picks up dirt particles and impurities, causing wear and tear and also reducing the quality and taste of your drinking water. The NoCalc prefilter removes all these and ensures optimal performance of the dosing system. Joined together they extend the lifetime of your sanitary installation, taps, hot water appliances and pumps. Extends the life of appliances: dishwasher, washing machine, central heating boiler, boiler, etc. NoCalc can pay for itself within one year due to savings. You will use fewer cleaning products and will also save energy* because equipment such as heating systems, boilers, washing machines and common household appliances work more effectively. You will reduce the amount of soap and shampoo used and your skin and hair will feel softer and the water will taste better. You don’t have to take our word for it. Ask your kitchen or bathroom supplier, plumber or construction specialist. They can tell you all about the unique NoCalc water treatment method.